Fall Coho Salmon – Will you be eating any? Don’t let this be the only way you get fall Coho Salmon this year! While the huge King or Chinook Salmon always get the attention and are on the covers of the fishing magazines, Fall Coho Salmon runs are the bread and butter fish that most fishermen in Puget Sound are chasing. Smaller but generally more plentiful, the Coho Salmon offer anglers the chance to fill their coolers before Winter really hits. Essential to catching good numbers of Fall run Coho Salmon is knowing where to fish, when they will be there and at what depth. Right now we will cover the where, when and at what depth to fish for Fall Coho, so you can improve your odds of filling your catch card. When fishing for Fall Coho you must fish when they are feeding. Until they hit the rivers they are storing up energy to spawn and are on the hunt. In the mornings Coho are up on top and are feeding the most aggressively. Yes, this means leaving port when it is still pretty dark out! Plan your fishing trip out, have everything in order and hit the water early! In conjunction to this, check your tide charts and look for days when the tide change is right after dawn. This way you can fish the high percentage zones. The high percentage zones are those spots that Coho congregate to feed. These spots change depending on the time of day and which way the tide is running. During a tide change, look to find Fall Coho on the hunt in the rips and at the edges of swirls. Here they pick up food that has been stirred up by the current. Them being on the hunt means you have a greater chance of them chomping down on your lure. During slack tides or when the tide change is very minimal, check around the edge of weed beds and Kelp fields. Often times Coho will duck in there for a snack. Whatever the tide situation is, you must keep thinking like a Coho. Be fishing where and at what depth they are going be looking for food. 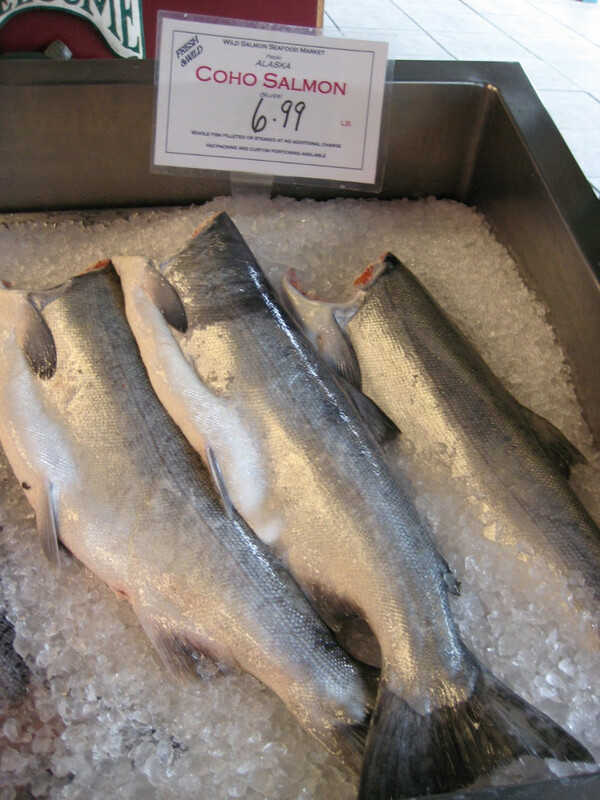 Coho Salmon are found near the top of the water in the morning hours. This is the time to drag your lures shallow, from 0 to 60 feet. As the day moves along and the light gets brighter, they will drop down. Remember that the Fall run Coho have been out in the open ocean and are used to being able to go way down deep to hide from predators. By the time the sun is in the sky you should be watching your fish finder and be dropping your lures by 10-20 feet an hour. Coho will go as deep as 100-120 feet. Watch for where the fish are and be right above them. Salmon, like most fish, hunt looking up, so lures presented below them do no good. Pay attention to the thermocline and if in doubt, target the area right above it. There you have the three essentials that will put you in the position to catch more Fall run Coho Salmon. They are on the hunt for food to get them ready to spawn, you just need to be in the right spot at the right time. Use these tactics to be at the right spot when the Coho are feeding. Do and you will have significantly more success this Fall!